Karen Angotti receives the ATHENA award in 2009 after her selfless dedication to the non-profit organization of Rainbow Riders. She was shocked and honored upon being given the award, admitting she would have never expected to receive such a meaningful honor. The respect and gratitude the community has for Karen is truly shown when they nominated her for the ATHENA award. ATHENA International celebrates the potential of all women as valued members and leaders of the community, and recognizes those who support them. It is intended for individuals who strive toward the highest levels of professional accomplishment, who have devoted time and energy to their community in a meaningful way, and who also open paths so that others may follow. 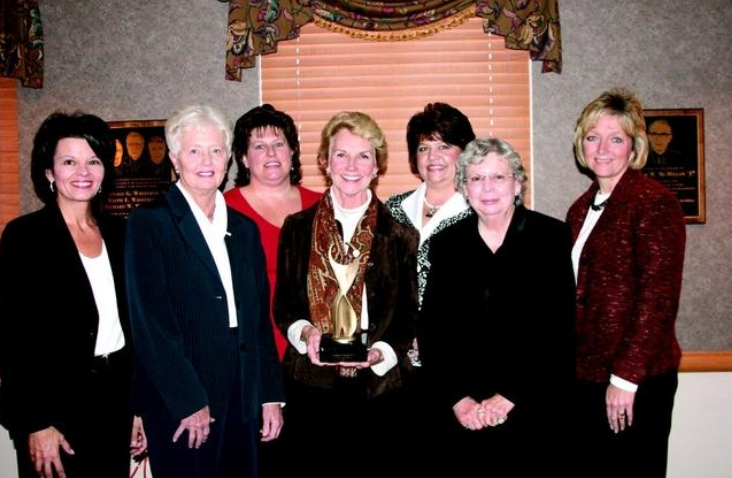 The ATHENA Leadership Award is presented to, "a woman ---or man--- who is honored for professional excellence, community service and for actively assisting women in their attainment of professional excellence and leadership skills." Karen (center) standing with previous recipients of the ATHENA Award in Warren County at the luncheon where the award was presented. 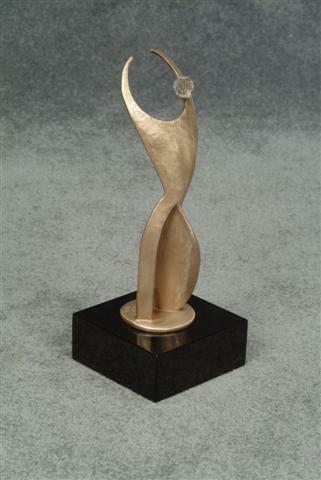 The trophy awarded to the recipient of the ATHENA award.